 With the vision of being a network of support to make Alleghany County a better community for EVERY child, the Alleghany County Partnership for Children’s Child Care Resource and Referral (CCR&R) provides support services throughout the county. Balancing work and family is often one of the most difficult things for parents. Along with being a working parent, comes the important choice in choosing who will provide care for your child. CCR&R will fill you in on the Star Rated License system, tell you what to look for in a quality program and send you information that you will find useful in your search. Who can you trust to provide a quality, early learning environment where your child can thrive? What are the licensing requirements in NC? What do you look for when making your selection? Let us assist you in making that decision. CCR&R can help you make an educated decision. We will inform you of your options and provide you with the information to make an educated, informed choice that fits your needs. It is important to know that anyone in North Carolina providing care for more than two children that are not related to them on a full-time basis OR operating more than 20hrs per week is REQUIRED to have a license. Each licensed provider should have a copy of their license posted in their center/home with their license ID number visible. If someone is operating a childcare program outside these guidelines, they are breaking the law. Call our CCR&R program at (336) 372-2846 and talk to us about your needs. Please keep in mind, we make referrals not recommendations.